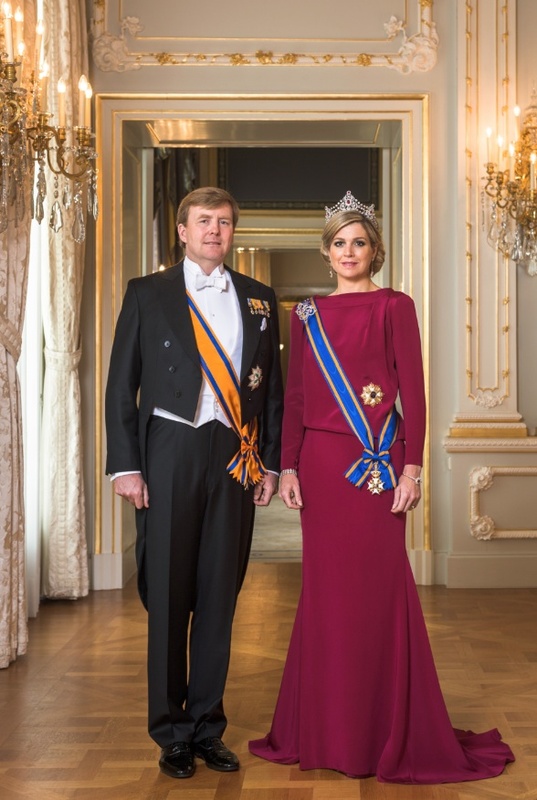 Their Majesties King Willem-Alexander and Queen Maxima of the Netherlands Host the 2014 Nieuwjaarsontvangst. On January 15, 2014, Their Majesties King Willem-Alexander and Queen Maxima of the Netherlands accompanied by Her Royal Highness Princess Beatrix of the Netherlands, and Her Royal Highness Princess Margriet of the Netherlands and Professor Pieter van Vollenhoven hosted the 2014 Nieuwjaarsontvangst (New Year’s reception) held at the Koninklijk Paleis in Amsterdam. Today’s reception was held for members of international organizations and foreign diplomats according to RVD. Next News Regarding Her Royal Highness Princess Laurentien of the Netherlands.